"KC Cariappa," announces the auctioneer. It is almost 2pm on a February afternoon in Bangalore. In the ITC Gardenia hotel, an assortment of team owners, CEOs, coaches, scouts and mentors sit around tables decorated in their teams' colours. More than four hours have passed since the first player went under the hammer for IPL 2015 - the tournament's eighth edition - and while there have been boring stretches with no bids, there has also been some excitement. A cash-rich Delhi Daredevils have grabbed Yuvraj Singh for a record Rs 16 crore (approximately US$2.67 million), Angelo Mathews for Rs 7.5 crore ($1.17 million), and the talented Shreyas Iyer, one domestic season old, for Rs 2.6 crore ($405,600). But teams with a settled core are circumspect. 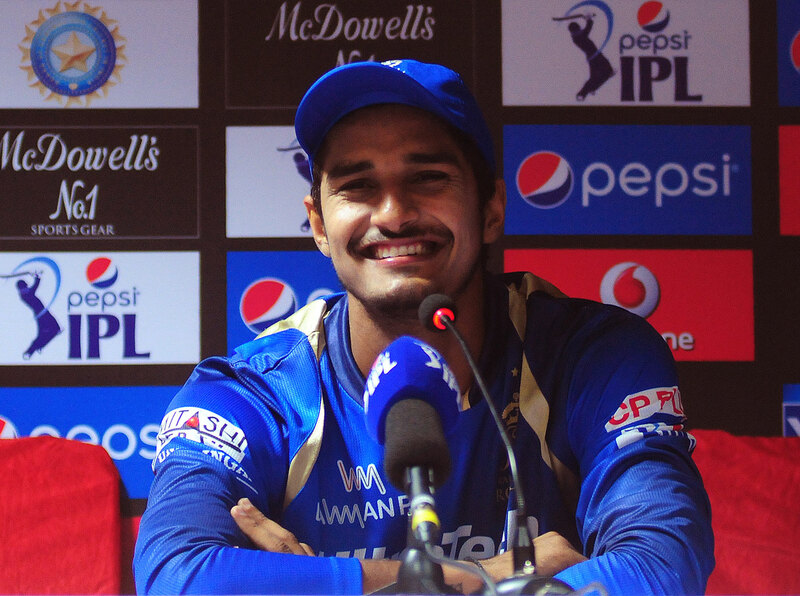 "KC Cariappa is the next player, and I'm asking ten for him. I'm looking for ten lakhs." Defending champions Kolkata Knight Riders have only spent Rs 1.35 crores ($210,500). But that is about to change. They raise their paddle. Daredevils, who have already spent more than Rs 33 crores of their 40-crore maximum, see Knight Riders' bid, and raise their paddle as well. It's a game of ping-pong and within seconds the bid is at 60 lakhs for a player only a few have seen. Among those who have watched Cariappa bowl is TA Sekhar, the former India medium-pacer who was later chief coach at the MRF Pace Foundation in Chennai, who is at the Daredevils table as their team mentor. He was impressed with Cariappa in last year's televised Karnataka Premier League, where the legspinner showed an ability to spin the ball both ways without changing his grip. Cariappa's lack of first-class experience doesn't deter Sekhar; in fact, he sees it as an advantage - an air of mystery still hangs over him. Daredevils bid 95. Knight Riders counter with 100. Sekhar throws glances in the direction of the Knight Riders table. He knows that the Knight Riders management has looked at Cariappa closely. 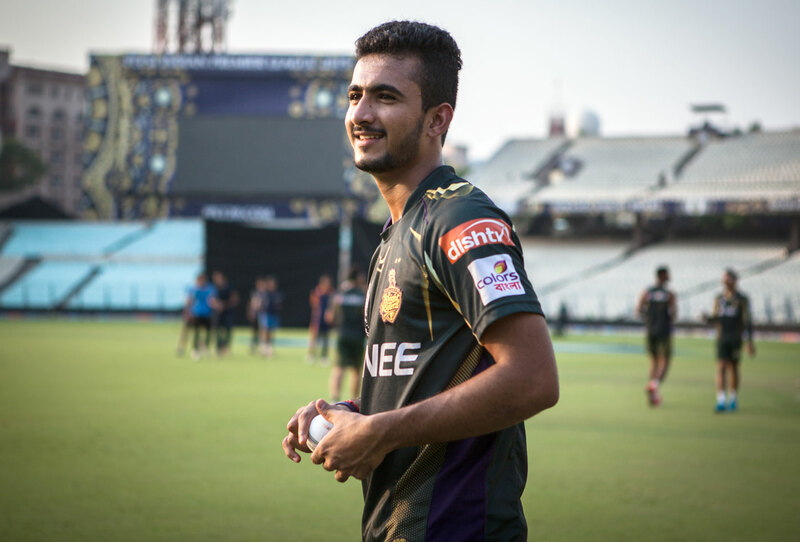 In the lead-up to the 2014 Champions League, Cariappa was invited to their nets and bowled to the likes of Gautam Gambhir and Jacques Kallis. Knight Riders were impressed. And the admiration was mutual. When the Daredevils management contacted Cariappa before the auction, he reportedly told them that he was "committed to Kolkata". But a player doesn't get to pick his IPL team. And Daredevils are in a mood to spend. The ping-pong continues. We are now at 200 lakhs. Daredevils raise their bid to 220 lakhs ($343,750). Venky Mysore, Knight Riders CEO and the man holding the paddle, has appeared unperturbed by Daredevils' bids. He has countered each of their offers with a nonchalant raise of his own. But at 220 lakhs his paddle doesn't go up instantly. "We've got 220 now, 220." Mysore raises a finger and asks the auctioneer for a minute. In this brisk bidding war, the pause feels like a lifetime. There is a calm discussion at the Knight Riders table, and Mysore turns to the man sitting next to him. "What do they say in Kolkata?" asks the auctioneer. Sekhar has been at previous IPL auctions, and knows that there are a variety of strategies that teams employ to throw off competition. He has been observing the body language of those at the Knight Riders table. He knows teams sometimes bluff. He also knows that if a team is confidently bidding higher and higher, it is probably wise to not take them on. At 240 lakhs ($400,000), Daredevils bow out. The auctioneer brings down the hammer. "At 240, the player is sold to KKR." It is an astonishing amount for a little-known player with no first-class experience. There are handshakes and smiles all around at the Knight Riders table. A bearded man in his late 20s, the man Mysore had turned to before making the winning bid, looks particularly delighted. He is AR Srikkanth, who spotted Cariappa. If you are a cricketer with a dream of playing for an IPL team, Srikkanth is a good man to impress. Take the case of Kuldeep Yadav, a young chinaman bowler who spent a season on the Mumbai Indians bench before finding a place in the Indian ODI squad thanks to his performances for Knight Riders in the 2014 Champions League. 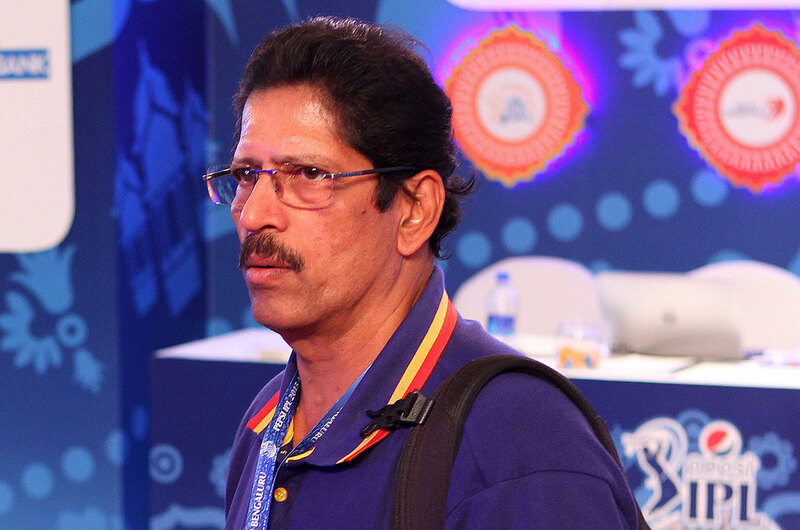 It was happenstance that Srikkanth was at the ground when Kuldeep was given the ball against Karnataka in a Buchi Babu game in Chennai in August 2013. Srikkanth had gone there to meet his friends in the Karnataka team. But when he saw Kuldeep bowl, he immediately texted the Knight Riders CEO about him. A Performance and Strategies Analyst for Knight Riders since 2009, Srikkanth has over time turned into a shrewd scout. His first pick was Ryan ten Doeschate, who he spotted in the Friends Provident T20 tournament in England in 2010. Knight Riders were apprehensive at first, but Srikkanth was convinced by ten Doeschate's ability to finish games for Essex. Two years later, Srikkanth added to his reputation when he pushed for Sunil Narine's selection at the 2012 auction. Narine had done well in the 2011 Champions League for Trinidad & Tobago, but had played only three ODIs for West Indies. Still, Knight Riders outbid Mumbai Indians and bought him for a whopping $700,000 - 14 times his base price. Knight Riders won the IPL that year. And Narine was the Player of the Tournament. "When you find a couple of players who do well for the team," Srikkanth says, "the team starts believing in your instinct. The team starts believing in your judgement of a player." In last year's Karnataka Premier League (KPL), Srikkanth was the Performance Analyst for the Bijapur Bulls, Cariappa's team. He saw something special in the young legspinner and made sure he played in the XI. "I told him that if he does really well, I'll give him a genuine shot at bowling to top-class players." Cariappa took 11 wickets in six KPL games, and Srikkanth kept his word. He took him over to the Knight Riders camp before the Champions League, and Cariappa's mystery spin impressed the top brass. "It's not like KKR is inclined towards mystery bowlers. We pick other bowlers as well," Srikkanth says with a laugh. "It's just that he had an X-factor." It was an X-factor that Cariappa's coach and former Karnataka batsman Sudhindra Shinde noticed when he first saw Cariappa in a lower-division club game three years ago. Shinde was intrigued by the turn and bounce Cariappa was able to create using the tricks he had picked up spinning a tennis ball in gully cricket. "For him to replicate that with a leather ball over 22 yards and get that turn and bounce, I thought he was cut out for bigger things," Shinde says. Shinde took Cariappa under his wing and supported him on and off the field, even buying him a motorbike so he would spend less time commuting and more practising. Under Shinde's guidance, Cariappa made it to the first division of the KSCA league, the Karnataka Under-19 team, the KPL, and finally the IPL. "With his action, we knew it'd be difficult for people to pick him in the T20 format," Shinde says. "We knew he just needed a platform to perform." Cariappa is handed a debut in Knight Riders' second game of the season and brought on in the fifth over. The "mystery spinner" tag has followed him ever since the auction. During a mid-game interview Wasim Akram, Knight Riders' bowling coach, calls Cariappa their mystery weapon. To add to the weight of expectation, Cariappa is bowling his first over in top-flight cricket to Chris Gayle. "Mystery bowler!" says Aakash Chopra, the commentator on air, as Cariappa gets ready for his second delivery. The ball is flighted. Gayle steps forward and meets it with the middle of his bat. The ball soars over the bowler's head for six. "Paid a fortune for this kid. Over two crores for Cariappa," Chopra says. Cariappa flights the fourth ball, and Gayle hits it over mid-on for another boundary. At the end of the 12-run over a dejected Cariappa walks back to his position at third man, not too far from the Knight Riders dugout, where Akram, Srikkanth and others on the bench rally around him. Cariappa is given the ball again in the 11th over and this time he is bowling to AB de Villiers, a batsman Dale Steyn once described as "limitless". His first delivery is too full, and is driven inside-out over cover for four. Cariappa jumps up in frustration. Three balls later he bowls another full, flighted delivery and de Villiers smacks it over cover for another four. Next ball, he lofts over long-on for six. So this is where we are at: 2.4 crores. Mystery weapon. Eleven deliveries for 28 runs. And one more ball to bowl to de Villiers. Cariappa bowls it quick and flat. De Villiers jumps down the track and misses. The wicketkeeper doesn't miss. Eden Gardens roars. Cariappa's team-mates rush towards him. He looks more relieved than excited. "Once he pulled his length back, he knew AB would step out," Srikkanth says two days later in a phone interview. "So that's what he did. And lucky enough, he deceived him with the faster one." Had Srikkanth seen him bowl that kind of delivery before? "He has been bowling it in the nets. It wasn't a special delivery as such. It wasn't a mystery ball." A road runs a few feet behind a fenced-off set of practice nets. There is the sound of honking and the sound of cricket. In the background: cars, motorbikes and cycles. In the foreground: a legspinner bounding in. There is the gentle thud of his left foot landing on the popping crease and the soft clap of the ball against the wicketkeeper's gloves. The ball has beaten a batsman with an awkward stance, his feet not near the pitch of the ball and his bat reaching out in vain. It is a kind of delivery that deserves a congratulatory "Beaten!" But the ball is quietly returned to the bowler, and he bounds in again. And again. And again. Through the course of a six-minute-long clip uploaded on YouTube. Below the video is this unassuming message: "Hi Guys Please have a look in to my 2nd Video of Leg-Spin Bowling. I have demonstrated all the variations and hope you will enjoy watching it as much as I did whilst bowling." Another YouTube clip uploaded by the same bowler, about seven minutes long, has an amateurish introduction: stock music plays in the background as we read the highlights of his cricket career presented on slides. We learn that he played eight or nine seasons for Madhya Pradesh until the 2008-09 Ranji Trophy season, that he was selected to the India A team in 2004, and that he played for Middlesex in 2005. The clip then cuts to an indoor practice facility where he is bowling in a Hall Bower CC jersey - a club team that plays in the Drakes Huddersfield Cricket League in Yorkshire. He demonstrates a number of variations, both in terms of spin and speed, and occasionally stops and faces the camera to show the viewer how he grips and releases the ball. The bowler is 35-year-old Yogesh Golwalkar. And the video helped him get selected to the Kings XI Punjab squad. Golwalkar had given little thought to playing in the IPL. Especially after he quit his first-class career seven years ago to study for an MBA in the UK. He says the game had started to feel monotonous at the time. "First-class cricket in India is not as exciting as it is in England or Australia. Here in India, we have empty benches. We are basically entertainers, and an empty ground is not motivating." He spent what could have been his peak cricketing years studying business administration and working as a banker. He still kept in touch with cricket, though. "Being a spinner you grow with age," he says. "If you have your fitness in place, you can bowl until you are 45, 50. So I was bowling a lot." In late 2013, he uploaded a video to help budding spinners. "I got a good response from a lot of youngsters in Australia, England and India. I used to get emails from people sending their videos and asking for help in correcting their actions." And then one day, about a year after he moved back to India to work at an information technology firm, he received an email from Kings XI Punjab. They asked him for a more recent video of his bowling, and a video of him meeting their fitness requirements. And just on the strength of his videos - they didn't even trial him in person, or watch him bowl for his club side in Indore - they asked him to enter the auction. Soon enough, he was a part of their squad. A former Ranji Trophy cricketer being picked on the strength of a YouTube video is among the more surprising IPL stories, but watching videos of cricketers has become an essential part of scouting. Sekhar, for instance, who has discovered and recruited talent for the MRF Pace Foundation, Mumbai Indians and Daredevils, taps into his vast network of coaches and ex-cricketers and asks for videos of players they recommend. He also tries to watch any cricket that is televised, which is how he came upon Cariappa playing in the KPL. Sekhar longs for the day when all the games that are taped by the BCCI are put up on an online server that every IPL franchise can access. But even if there is a database with videos of your cricketing skills online, who knows if the right person is looking at them? Listening to Golwalkar's story, it is apparent that there is only so much a cricketer can control. I ask him why, even after choosing an MBA over a first-class career, he worked on his legspin in the UK. His answer is simple. "I love bowling. I love it." Rajasthan Royals need an improbable 95 in 45 balls against Daredevils at the Feroz Shah Kotla. The first three deliveries of the 13th over have cost just five runs. The fourth ball from Angelo Mathews is full and 19-year-old Deepak Hooda whips it over long-on for six. The next ball, a low full toss, is flicked to the square-leg boundary. Mathews pitches the one after it on a length. Hooda drives it past point for four. The last two strokes would have made a batting purist proud, but for the fact that Hooda's feet have ended up outside the off stump by the time the ball has left the bat. There is a hint of impatience to his batting - he doesn't wait for the bowler to release before he starts shuffling. He tends to move deep in the crease as the bowler runs in. He then shuffles and smacks, shuffles and smacks. There is a most wonderful thwack every time Hooda launches the ball, a sound that tells you it's a catch for the crowd. He finishes on 54 off 25 balls - a match-winning performance in only his second IPL game. It is no surprise that a player so young and so talented was discovered and nurtured by Rajasthan Royals. There is probably no IPL team that has done more to unearth and develop lesser-known Indian talent. They have provided a platform to players like Ravindra Jadeja, Naman Ojha, Stuart Binny, Sanju Samson, Karun Nair and Pravin Tambe. Heading into the 2014 auction, Royals were looking to invest in a couple of cricketers from the India Under-19 side. Their contacts at the National Cricket Academy recommended Hooda, and he impressed the team management at the tryouts they organised. They saw shades of another hard-hitting batsman who rose to prominence in their set-up, Yusuf Pathan, and thought Hooda could perform a similar role. "In the middle overs where we sometimes get stuck, we felt that he could be the man to unleash those big strokes and get the momentum back for us," says Monty Desai, a Rajasthan Royals coach and talent scout. Royals tested Hooda's skills by running him through what Monty calls "alternative pressures". They replicated IPL scenarios in pre-tournament camps and had him bat between overs seven to 16. They had range-hitting sessions where he cleared the boundary with ease. The management recognised his power-hitting ability in the summer of 2014, but they chose to bench him through that season because they wanted him to experience the IPL from the dugout first, and understand what it feels like to be under pressure in front of 20,000 people and more. After warming the bench in that IPL, Hooda played eight first-class games in his debut Ranji Trophy season for Baroda, where he scored two hundreds and averaged 50.63. A key question Royals asked his Ranji coaches and team-mates was, "Does he have the ability to be fearless?" Hooda justified Royals' faith when given a chance, backing his strategy to shuffle and smack. It is a risky tactic, and a taunt to the bowler, especially a slingy yorker specialist like Lasith Malinga, who in their first meeting uprooted Hooda's middle and leg stumps. Hooda got out this way in three of his first four innings. But in each of those games he also maintained a strike rate of 200 or higher, and struck at least two sixes. His batting, even when brief, was often game-changing. By the time Malinga knocked his stumps down, Hooda had already launched legspinner Shreyas Gopal for two back-to-back sixes, easing the pressure in a tense chase. Royals would go on to win the match by seven wickets. Six years before Hooda's IPL debut, another Royals player was handed the ball on an April night in Cape Town. Eighteen-year-old Kamran Khan was one of Royals' first left-field picks, noticed by then head coach Darren Berry and Monty Desai in the DY Patil T20 tournament in Mumbai. Kamran had no first-class experience and was primarily a tennis-ball bowler when Royals took a punt on him. Knight Riders needed seven to win off the final over. Sourav Ganguly was on strike. Kamran's first delivery was a wide, but off the next three deliveries Ganguly managed only one run off the bat. Next ball, Kamran saw the batsman making room and pitched on a length. 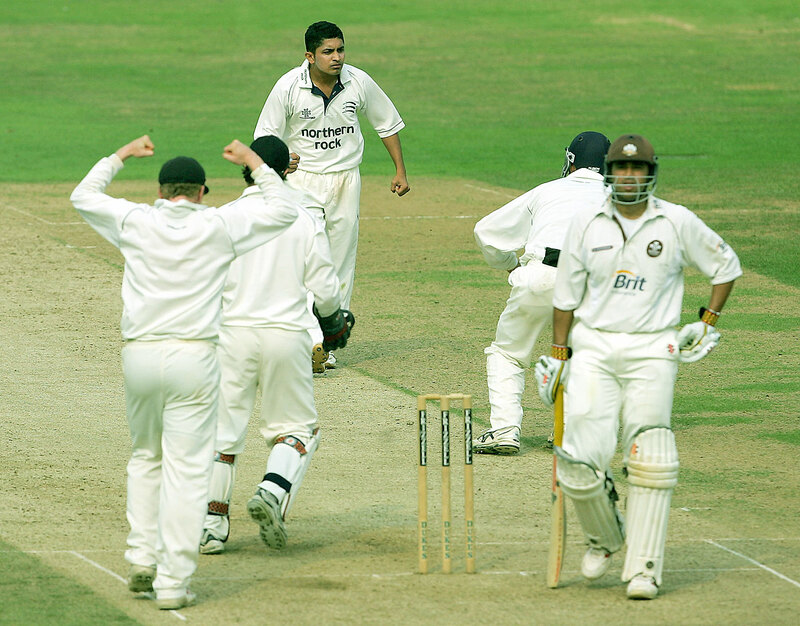 Ganguly edged to the wicketkeeper. With two needed off the last ball, Ishant Sharma carved the ball to the off side, only for a diving Shane Warne to stop it. As the batsmen went for a second, Kamran picked up the ball and threw it to the wicketkeeper, who did the rest. Royals went on to win the game in the Super Over, where Kamran again played his part. How did he hold his nerve? Kamran credits his captain, Warne. "Itna bada player tumhare saath ho toh tum kuch bhi kar sakte ho. [If such a big player believes in you, then you start to believe that you can do anything.] My confidence was such that, let any batsman come in front of me, I won't let him score." But just a week later, against Chennai Super Kings, the dream began to unravel. Trying to save a single off his own bowling, Kamran twisted his ankle and limped off the field. Adding insult to injury, he was later reported for a suspect action. He didn't bowl again in the 2009 tournament, and when he returned for IPL 2010 with a corrected action, back pain reportedly curtailed his season. The following year Kamran, playing for Pune Warriors, was hit for 47 runs in a three-over-spell. Thirty of those runs came in sixes. He was 21 years old then. He has not played in the IPL since. Kamran returned to his village in Uttar Pradesh, where he spent his mornings and evenings training, and the rest of his time working on his brother's farm. A number of articles lamented his fall and Warne tweeted concern too: "Found it bizarre that Kamran is working on a farm and not playing IPL. To me a waste of talent, hope your ok buddy…"
That brief public expression of support was just the spotlight flickering before it went out completely. Kamran has since worked hard on his game, but barring a couple of T20 games for Uttar Pradesh and a couple of first-class matches in Sri Lanka, he hasn't played any competitive cricket. He is one among several eye-popping talents who have sparkled in the IPL before fading away. But both he and his coaches have hope that there is a second act to come. "I think as coaches we owe it to the game to find time to speak to them," Desai says, adding that he is keeping a close eye on Kamran, who trains with him in Mumbai. Royals too have continued to show interest, inviting Kamran to their trials and camps. A fractured finger derailed Kamran's plans for a comeback last year but he is bullish about returning. "You'll see me in the IPL again," he says with conviction. As Kamran's journey shows, talent alone can only take you so far. But that hasn't stopped IPL teams from investing heavily in uncapped players with promise. Sekhar sees economic benefits in grooming such cricketers: "If they come good, you can trade some of your stars and raise more money." But crucially, there are on-field benefits as well. Desai cites the examples of Binny and Samson, who have grown as cricketers under Royals' leadership, and have converted their early promise into performances that have led to national call-ups. But it takes time for talent to mature. And teams need to take a call on how long they are willing to wait to see results. Royals, for example, have not made the IPL final since their championship-winning first season, and only qualified for the Champions League once since it kicked off in 2009. Desai admits that while the Royals management has backed their philosophy of picking young talent, there is pressure to justify selections when the team doesn't qualify for the knockouts. "It takes courage to pick the fringe players who are not that known. You can do as many trials as you want, but it really takes courage to back those kind of players and bring them to your franchise." There is also the risk of backing a relative unknown through trials and development camps only for a rival franchise with a bigger purse or budget to buy him at the auction. "We [Knight Riders] could have easily lost Cariappa," AR Srikkanth says. "If we had not raised that paddle one more time, Delhi would have probably got him." In the bidding war for Cariappa, Kolkata had to take a big call at the 220-lakh mark. Knight Riders' CEO Venky Mysore turned to Srikkanth, who was sitting next to him. So what did Srikkanth tell his CEO in that critical moment? "Let's go for it," he said.